CSSUP Re-entry Recovery Services. We nearly doubled the number of men served in our Alpha Omega Houses in 2018. CSSUP provided 49 men with 2,331 days of care in 2018. The demand for recovery housing does not appear to be slowing down and support from Iron Mountain and Escanaba has been overwhelming and inspiring. We recently received NorthCare grant funding for a part time manager. The part-time manager gives each house manager the opportunity to take a day or two off each week. 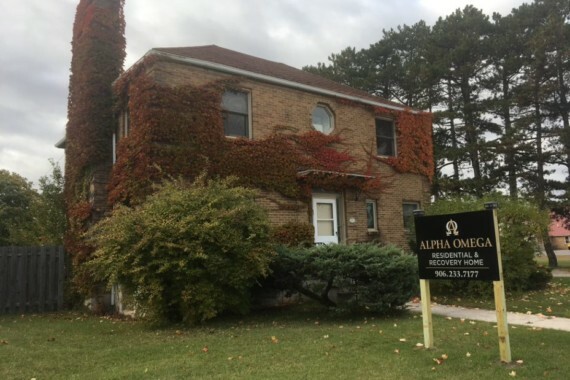 The new Alpha Omega House in Escanaba which opened in January 2018, is receiving numerous referrals and is at or near capacity daily. We are blessed to serve so many in need, and have an opportunity to help them feel the love of Jesus in a supportive living environment. With this opportunity we see our residents begin to live again in recovery and contribute to their community. Go with God my Brothers!